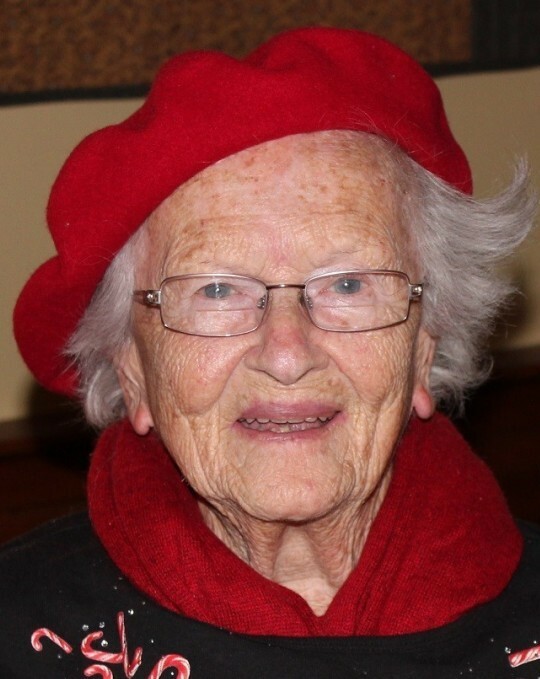 Winifred “Winnie” Blackman passed away peacefully at Pheasant Wood Center in Peterborough, NH on February 8, 2019. She was a remarkable woman with a great sense of style and an even greater sense of humor. Born on September 6, 1922 in Port Jervis, NY to the late Fred Snyder and Mary (Baker) Snyder. Winnie grew up on a large-scale chicken farm. She moved to Milford, CT where she lived for over 50 years. She worked for many years at Burndys in Milford, CT and later moved to Antrim, NH to be closer to family. She loved gardening and enjoyed feeding the birds and watching the wildlife. Winnie especially loved spending time with her family. Survived by her son, Paul Blackman and wife Linda of Antrim NH; three grandchildren, Carri Brellis and her husband Kyle of Waterbury, CT, David Siegert and his wife Heika from Wilton, NH, and Melanie Blackman from Plaistow, NH; as well as several nieces and nephews, who will all miss her humor and stories. Predeceased by her husband Emerson C. Blackman; her son, Thomas Blackman; two sisters, Marilyn (Snyder) Taulty and Joan (Snyder) Obert all from Milford, CT.
A Graveside Service will be held on Saturday, February 16, 2019 at 10 a.m. at Kings Highway Cemetery, 273 Cherry St., Milford, CT. The family has been compassionately cared for by the Cody-White Funeral Home, 107 Broad St., Milford, CT. In lieu of flowers, please contribute to a charity of your choice.